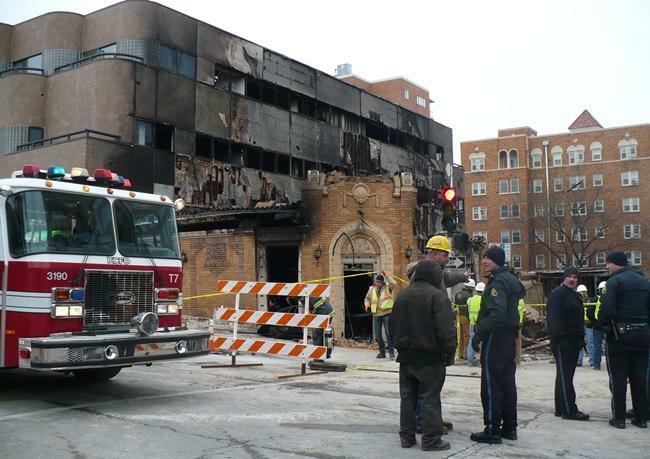 Lawsuits and appeals plague the aftermath of the deadly explosion of JJ's restaurant on Country Club Plaza in midtown Kansas City. One year has passed since the explosion and fire at JJ's restaurant killed waitress Megan Cramer and injured 15 on the edge of Country Club Plaza in Kansas City, Mo. Investigators have found fault in the blast, but legal action continues. Ten lawsuits are on file by people legally claiming damage in the natural gas explosion. Suits are not expected to go to trial for more than a year. The gas company, MGE, still has two weeks to appeal the ruling from the Missouri Public Service Commission that they failed to act urgently to protect the lives of people in JJ's. Chief staff lawyer for the Commission Kevin Thompson said MGE didn’t follow its own emergency plan that night. “That plan included acting to save life and notifying people of the hazard, once they had determined a hazard existed and what the extent of the hazard was,” said Thompson. MGE has said it will challenge the finding so there might be a trial-like hearing. The wounded are still healing, and nearby damaged buildings are still vacant. Missouri Gas Energy failed to act urgently to protect the lives of people in JJ’s Restaurant last year, the Missouri Public Service Commission ruled Thursday. The gas company violated its own safety rules that lead to an explosion that killed one woman and injured more than a dozen others and it should be fined, the 125-page report said. A Missouri State agency has asked for more time to report findings on the deadly explosion at JJ’s Restaurant in Kansas City, Mo. The findings are now expected nearly a year after the blast and fire. A report had earlier been expected weeks ago. 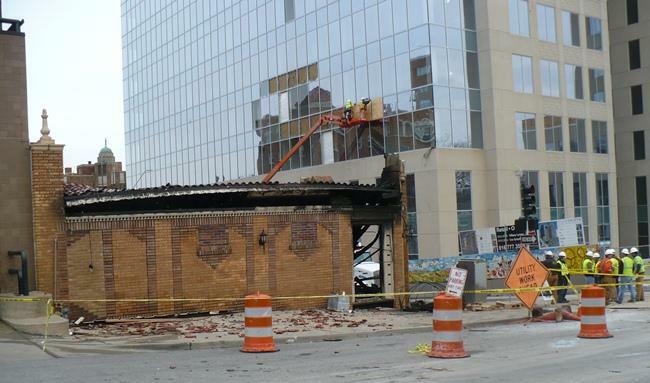 A buildup of flammable natural gas exploded at the restaurant on the west side of the Country Club Plaza last Feb. 19. It killed one person, Megan Cramer, who worked at the restaurant. The Kansas City Fire Department on Thursday made a major change in the way it responds to gas leaks, after it was highly questioned for its response to the JJ’s restaurant explosion. In what he said will be his final statement on the event, Fire Chief Paul Berardi announced that the department will stay on the scene of any gas leak until the situation posing a risk is resolved. The department will also begin sending a battalion chief and a fire unit with monitoring equipment to all gas leak calls.